Cause marketing creates impact. And as Franchise systems go, Sport Clips Haircuts is taking the lead by elevating the best from its system and unearthing the good for childhood cancer research. 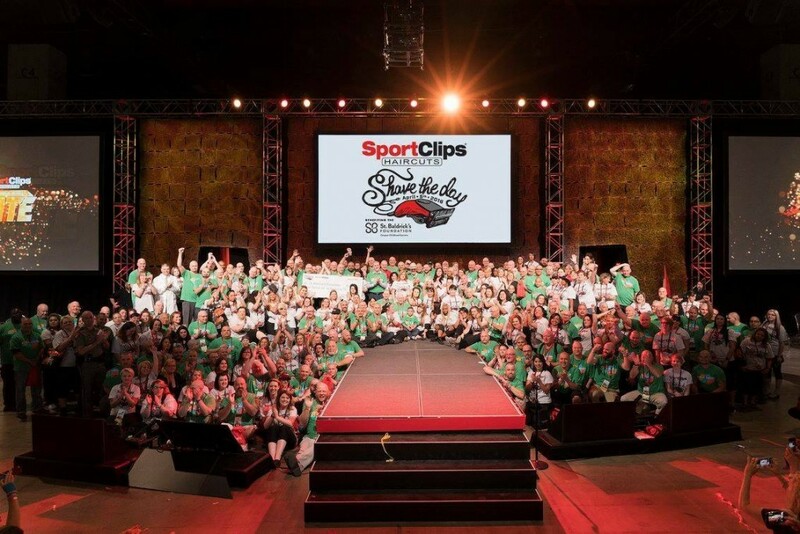 This year, Sport Clips stepped up and made a commitment to donate one million dollars over the next three years to St. Baldrick’s Foundation, the largest private funder of childhood cancer research grants. Beyond its focus of delivering an “MVP experience” to clients, Sport Clips is implementing a national cause initiative that requires grassroots participation — a most difficult task even for the best nonprofit management and development teams. Practice. Teamwork. And Many Rodeos. Giving isn’t new for Sport Clips, at any level of the organization. It begins “at the top,” according to partnership manager Margaret Briscoe, with Sport Clips Founder and CEO Gordon Logan and his commitment to helping others through Sport Clips’ success. In addition to its partnership with St. Baldrick’s, Sport Clips franchisees and team members also support our nation’s heroes through its Help A Hero initiative, benefitting the VFW’s “Sport Clips Help A Hero Scholarship” program. Every fall, Sport Clips across the country and its product partners join together to raise funds to provide scholarships to veterans who are pursuing degrees at colleges, universities and trade schools. To date, Sport Clips has provided funding for more than $1.6 million in scholarships. Prior to forming a national partnership with St. Baldrick’s, local franchisees and stylists had been participating in St. Baldrick’s signature “head shaving events” for nearly a decade. For the Sport Clips’ support team, evaluating engagement and success at the local level, in smaller numbers, was crucial to feeling confident about expanding support at the national level. National programs with local buy-in work! To inspire buy-in with franchisees who hadn’t been involved, Sport Clips rolled out the national partnership with a “Shave the Day” event at its largest gathering of the year, the Huddle, that took place in San Antonio, Texas. More than 2,000 franchisees, store managers and support team members come together every year for the company’s annual national convention. 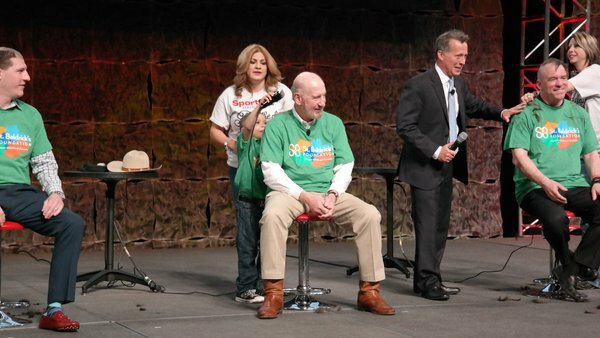 San Antonians, Sport Clips franchisees, and even Sport Clips’ CEO and founder, vice president, and vice president of operations “braved the shave” to raise funds for St. Baldrick’s on April 5th. By the event’s end, the fundraising goal was more than doubled with over $116,000 raised for childhood cancer. By spotlighting the national partnership at the company convention, in front of thousands, Sport Clips was able to create the momentum needed to inspire engagement at the local level. “We held ‘Shave the Day’ to kick off the partnership, and our fundraising, in a big way. And now, six months in, we’ve already raised over $260,000 of our $1 million commitment to support childhood cancer research,” said Briscoe. Sport Clips exemplified patience in program implementation by implementing locally first. One key insight is to focus on recruiting like-minded groups. For instance, recruit firefighters or school teachers, rather than an open invitation that’s placed on social media. Those who share common ground and common goals, participate and donate at greater levels. This insight, not surprisingly, was discovered locally. Beyond goal setting, implementation patience and co-branding, Sport Clips also offers this advice to businesses and nonprofits who want to excel in their Cause efforts. Always consider your local operators. They’re uniquely positioned to make a difference because of their operating structure. Once kinks are out of a process, and you’re able to equip one store successfully, it enables replication throughout the system. Consider utilizing marketing assets, where possible, to promote the partnership or event that benefits the nonprofit organization. For example, Sport Clips will often tag local radio advertising with messaging supporting a Sport Clips location’s cause effort in a particular community. Social media, email, websites, among other assets, are also often utilized to support partnerships, at no cost to the nonprofit. “By utilizing the marketing resources we have available to us, we can increase awareness of our partners’ important missions and what we’re trying to do to help,” said Briscoe. Seek out franchise partners. If you learn of a franchisee that’s supporting your organization at the local level with success, this might be an opportunity to expand the relationship. Connect with the marketing manager or communications manager of the organization to inquire about opportunities. Having successful local efforts serve as the inspiration for national opportunities. Anticipating issues prior to roll-out. Using brand awareness to benefit the cause and overall partnership.